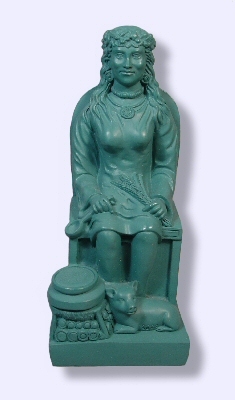 Kerridwin is the Welsh Triple Goddess. 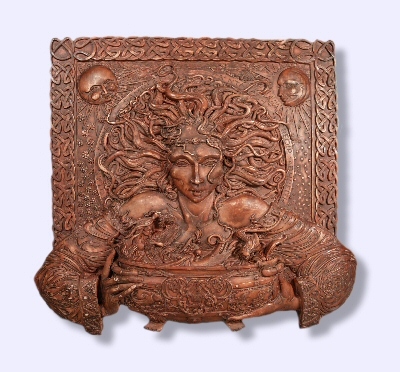 Her cauldron was the Celtic symbol for prosperity and rebirth, and she herself is the Mother Goddess, famous for nurturing her children. Her totem animal, the corpse-connected white sow, represents the moon as well as Kerridwin's crone/transformatrix aspect. The great bard Taliesin (often thought to be Merlin), born of the goddess according to a favorite Celtic regeneration myth, attributed his magic talents to her. She can be equated with Greek Demeter, Anatolian Diana of Ephesus, and Kali, all goddesses who both give and take away. 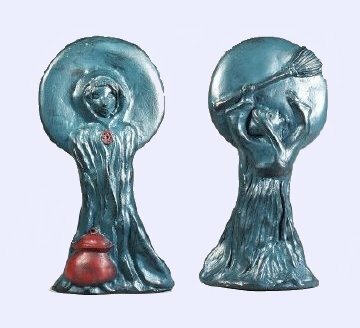 The Full Moon rises and brings radiant quiet power to the Great Witch, the female shaman who mediates between the Goddess and humanity. She raises her broom in joy and victory. Magic is her domain and she uses it wisely, harming none and doing as she wills. 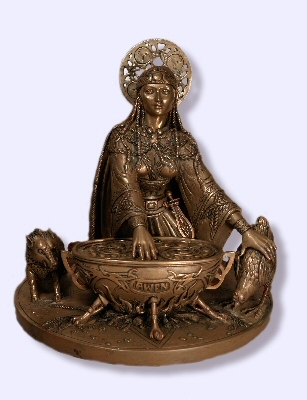 On reverse, the Witch contemplates and invokes her Sacred Cauldron while chanting strength to power. 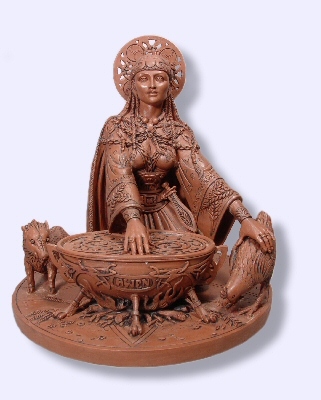 She is the daughter of Brigid, Cerridwen, Hecate, Kali and all the Goddesses of sacred transformation.